We have written about this product a few times recently and it seems to have generated significant interest from sections of the automobile industry. We are happy to announce that we will debut this fabulous product this summer in the USA. Intelligently designed with input directly from automobile manufacturers, Serrature Meroni have produced a game changing product that benefits the shipping industry immensely. Installation time is usually about 45-50 minutes by a trained technician. Companies who run fleets of Sprinter or similar vehicles enjoy the benefits of ultra-secure master keying and copy protected keys in the easy to use UFO+ Slam Lock. The Lockwood 7444 Keyed Pocket Door Lock we had been expecting to arrive tomorrow night has arrived early and is now in stock and available for purchase. We just updated the order page and suggest to our customers to place their orders quicksmart to avoid missing out. This product is super popular and sells extremely quickly. We have been inundated with additional requests for this popular and fabulous product. It is challenging to maintain sufficient inventory to meet customer demand. We expected our last shipment to go in about 4 weeks and were spot on with our prediction. We are currently out of stock completely until next week, when we will update the shopping page and make them available again. We appreciate our customers patience and thank them for understanding. 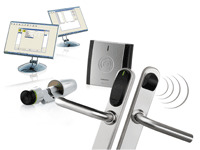 We have talked about the fabulous SALTO electronic access control products here before. Salto are a very modern company specializing in high-end access control systems for hotels, institutions, Universities, Schools, hospitals and almost anyone seeking better quality from their entry hardware and systems. 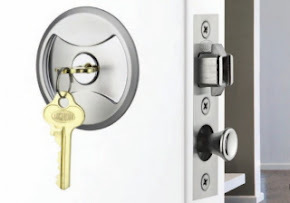 Bilock are an integral partner with Salto, to the point of integrating Mifare chips into Bilock key heads, so that electronic, trackable extreme security keys can be used in structures that also require mechanical access control where wired or wireless power is inappropriate. 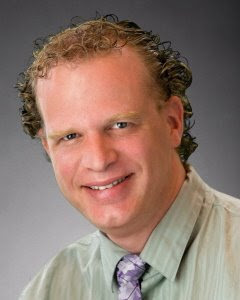 Recently, Salto sat down with respected industry watchdog and product quality analyst Marc Tobias in a brief interview abut his opinion about the quality and security of Salto products. See the interview after the jump. 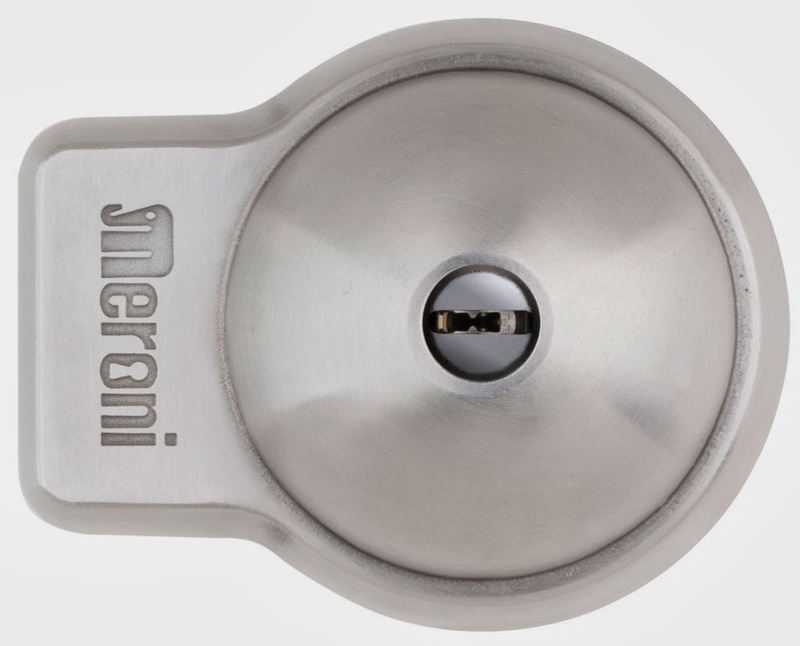 UFO+ is one of the latest additions to the expanding range of fabulous Serrature Meroni ultra-high-security products. This product has been built in consultation with engineers and automobile designers to provide light commercial trucks and vans with premium quality products that are functional while maintaining a profesional image for your company. Widely used throughout Europe by two of the leading delivery companies (worldwide), the UFO+ is the new generation version of the UFO already widely used by industrial, commercial and private customers. We have previously talked about UFO products in this blog before. In the link provided above, you can see some videos of the strength of the UFO product. The collaborative efforts in consulting with vehicle manufacturers to produce a product that complements style and security of a wide range of vehicles, serves to cement Meroni's commitment to it's customers and also goes to show, that by working together across different industry sectors we can all hope to achieve mutually beneficial products that stand the test of time, function and better security for all. 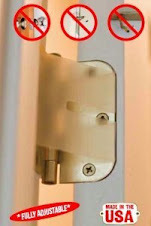 We continue to see increased interest in the fabulous Hooply range of door handles and locking systems. 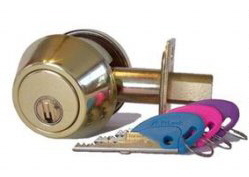 Hooply are a specialty manufacturer of very strong mechanical locking systems, Their product line has been snapped up by many builders and homeowners especially in severe weather affected locations. Many homeowners in the Florida and gulf states regions especially like the wide range of handle designs that compliment their style of hurricane and wind resistant doors and frames. We have recently sold more products to customers on both sides of the Florida coast, to repair/replace parts. The competitive cost of Hooply products, combined with the extremely strong all steel internal mechanisms, makes the product line an extremely attractive alternative to more mainstream brands. Pictured here is the Hooply 5510 handle set. There are numerous styles and color choices available and we will be bringing these to light here in the near future. Stay Tuned! 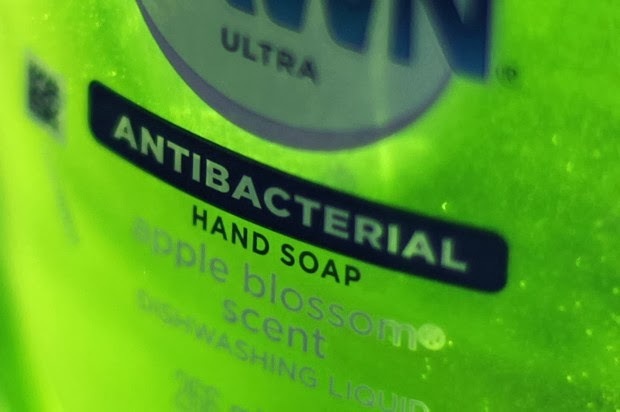 The FDA, recently announced the culmination of a 42 year study into the health benefits of the use of anti-bacterial handsoap. To summarize. the FDA discovered that after a decades long investigation, the benefits derived from this multi-billion dollar industry, do not significantly add value to our lives, more than normal soap and water. I meet people regularly who swear by their practise of using some alcohol based antibacterial soaps, hoping to minimize their own exposure to the easy transference of bacteria and virus'. 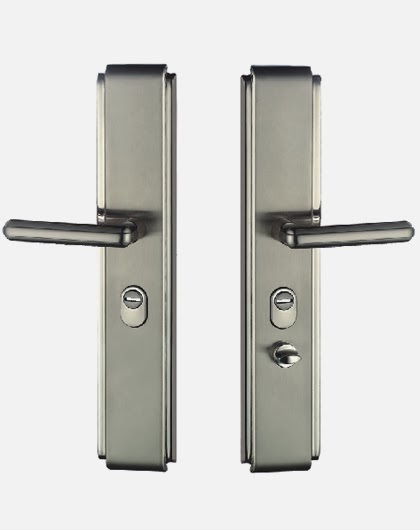 With this 42 year study finally releasing their results, concerned users are realizing that common used door knobs, that multiple people touch daily have been a harbinger of diseases that are too easily transferred. That is of course until they learn about the Serrature Meroni range of Combina and Pigio range of push/pull entry levers and knobs, that are specifically designed with anti-microbial surfaces that minimize the spread of colds and flu. We are the North American distributors of the fabulous Nouveau and Ultra-Modern door entry products made by the highly respected European (Italian) manufacturer Serrature Meroni. We maintain a relatively large inventory, in multiple color options of Nova, Forma, Combina and Pigio (1, 2 & 3) door hardware. We will showcase some special quantities of Meroni Nova, passage, privacy and entry handlesets, in large quantaties and diverse color options. 1. Antibacterial soaps are no more effective than conventional soap and water. As mentioned in the announcement, 42 years of FDA research—along with countless independent studies—have produced no evidence that triclosan provides any health benefits as compared to old-fashioned soap. Manufacturers say they do have evidence of triclosan’s superior efficacy, but the disagreement stems from the use of different sorts of testing methods. Tests that strictly measure the number of bacteria on a person’s hands after use do show that soaps with triclosan kill slightly more bacteria than conventional ones. But the FDA wants data that show that this translates into an actual clinical benefit, such as reduced infection rates. So far, analyses of the health benefits don’t show any evidence that triclosan can reduce the transmission of respiratory or gastrointestinal infections. This might be due to the fact that antibacterial soaps specifically target bacteria, but not the viruses that cause the majority of seasonal colds and flus. 2. Antibacterial soaps have the potential to create antibiotic-resistant bacteria. The reason that the FDA is making manufacturers prove these products’ efficacy is because of a range of possible health risks associated with triclosan, and bacterial resistance is first on the list. Heavy use of antibiotics can cause resistance, which results from a small subset of a bacteria population with a random mutation that allows it to survive exposure to the chemical. If that chemical is used frequently enough, it’ll kill other bacteria, but allow this resistant subset to proliferate. If this happens on a broad enough scale, it can essentially render that chemical useless against the strain of bacteria. This is currently a huge problem in medicine—the World Health Organization calls it a “threat to global health security.” Some bacteria species (most notably, MRSA) have even acquired resistance to several different drugs, complicating efforts to control and treat infections as they spread. Health officials say that further research is needed before we can say that triclosan is fueling resistance, but several studies have hinted at the possibility. 3. The soaps could act as endocrine disruptors. A number of studies have found that, in rats, frogs and other animals, triclosan appears to interfere with the body’s regulation of thyroid hormone, perhaps because it chemically resembles the hormone closely enough that it can bind to its receptor sites. If this is the case in humans, too, there are worries that it could lead to problems such as infertility, artificially-advanced early puberty, obesity and cancer. These same effects haven’t yet been found in humans, but the FDA calls the animal studies “a concern”—and notes that, given the minimal benefits of long-term triclosan use, it’s likely not worth the risk. Serrature Meroni make a handle that is taylored to hospitals, aged care centers, schools and institutions that care about the health and safety of their staff and patrons. The Combina Anti-Bacterial Door handle, not only exceeds all ADA conditions, but also minimizes the spread of potentially harmful disease. With the current Polar Vortex, playing havoc with North American's daily lives, preventing the spread of disease is of paramount concern. Stylish, functional and secure. 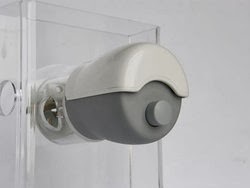 The incredibly easy to use, patented Premiapri mechanism, encourages simple to operate and stylish nouveau door handles in both passage and privacy (bathroom) functions, that prevent the transferrence of potentially harmful diseases. (CNN) -- Canadian health officials confirmed Wednesday that a resident from Alberta has died from H5N1 avian flu, the first case of the virus in North America. Canada's Health Minister, Rona Ambrose, said the infected individual had recently traveled to Beijing. The Canadian case also is the first case of H5N1 infection ever imported by a traveler into a country where the virus is not present in poultry. No such H5N1 viruses have been detected in people or in animals in the United States.